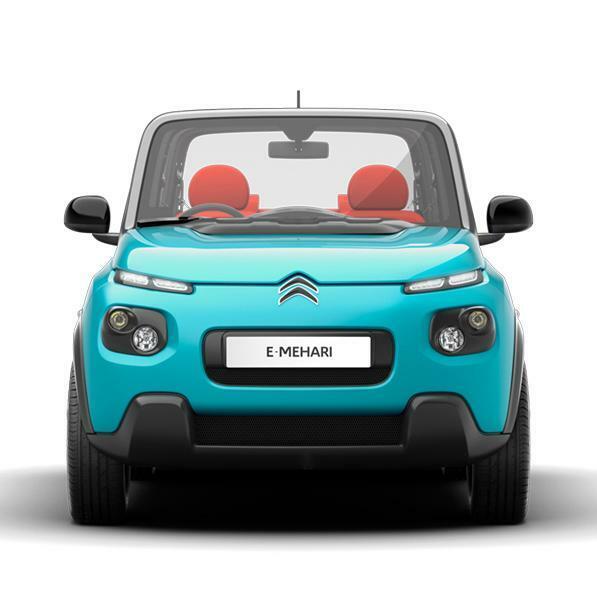 CITROËN E-MEHARI has all the Brand's stylistic cues with an expressive gaze featuring dual headlights, a unique design with full and warm patterns, smooth lines and a smiling front end. 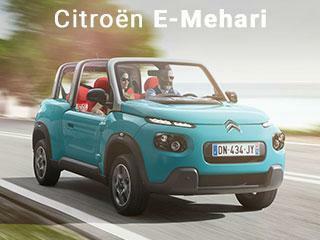 CITROËN E-MEHARI stays true to its predecessor in terms of both styling and practicality. The interior seats and flooring are waterproof with drainage, meaning they can be washed with a hose. 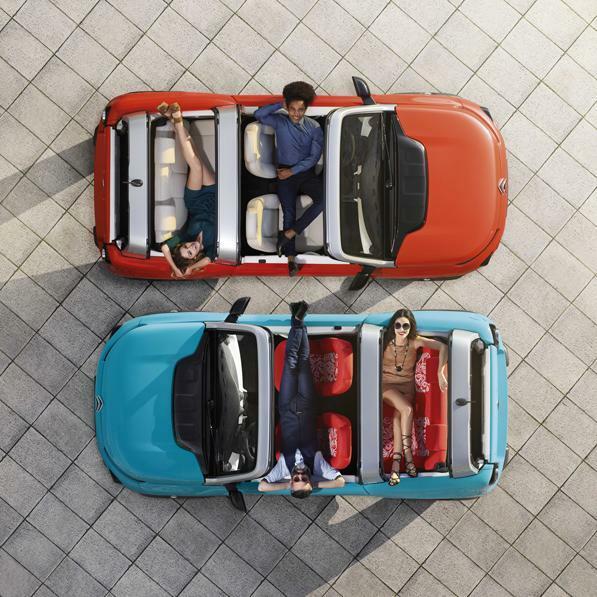 CITROEN E-MEHARI is fitted with a removable canvas roof and four seats (including folding rear bench), making it easy to live with. CITROËN E-MEHARI makes life easier. CITROËN E-MEHARI comes fitted with four real seats and a folding rear bench. Hop in with your crew and head for the beach! Equipped with a raised chassis for all-terrain driving, CITROËN E-MEHARI nips around everywhere. A few ruts aren't going to keep it from reaching its destination. With the E-MEHARI Parrot® audio system you can listen to music via your Bluetooth smartphone anywhere and anytime. 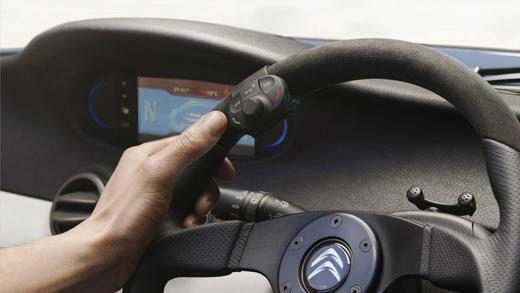 With its portable remote control you can even change songs or up the volume without being next to the steering wheel.